then I know you want all of your hair up and out of the way. So instead of chucking it up and ignoring it, we can spend that extra 5 minutes on making it look a little more put together. I washed my hair yesterday and let it air dry so its just not feeling it. 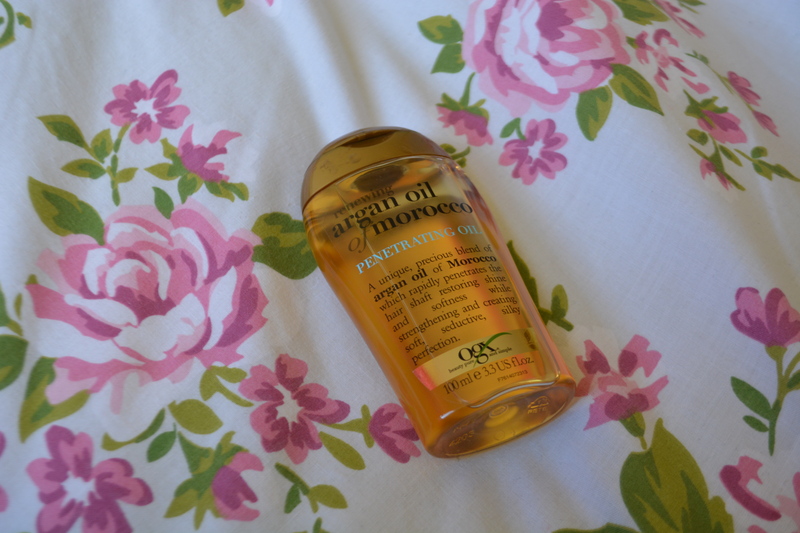 To give it a bit of I helping had I used a small amount of this oil to smooth over the frizz. If you also have wavy or curly hair, you can run your fingers through your hair with this so that you don’t have to brush it- I know the feels. Take a section from the top of your head and clip that up so that you can tie the rest of your hair out of the way. 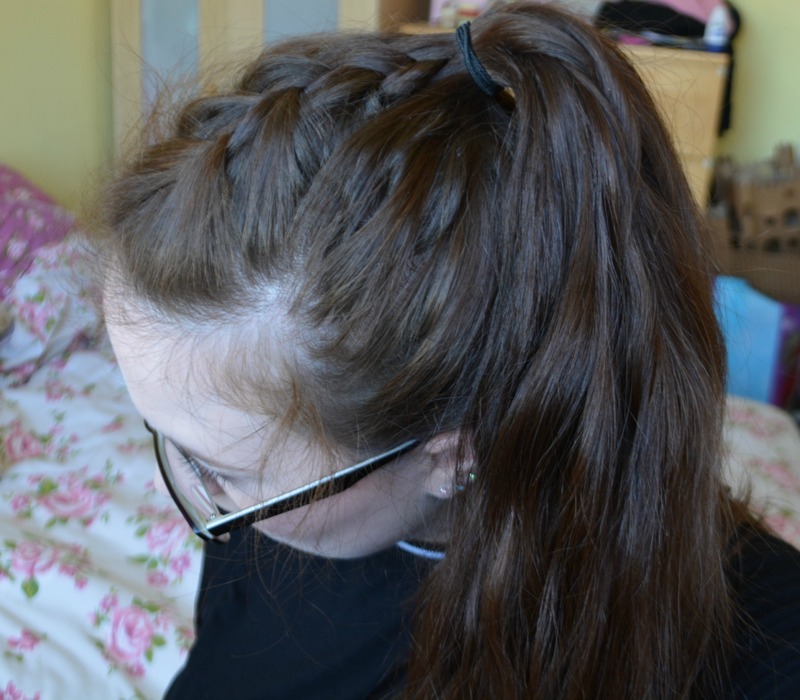 Then use the section you clipped up to create a french braid. You can do this by taking three small sections from the front, crossing the left over the middle and then crossing the right over the middle (so effectively as you are crossing them, that section is becoming the middle section). You want to repeat those steps but add a little bit of hair to the outer sections before you cross them over. Once you have finished picking up hair you can just braid it as normal and tie it off to keep it secure when we move on. 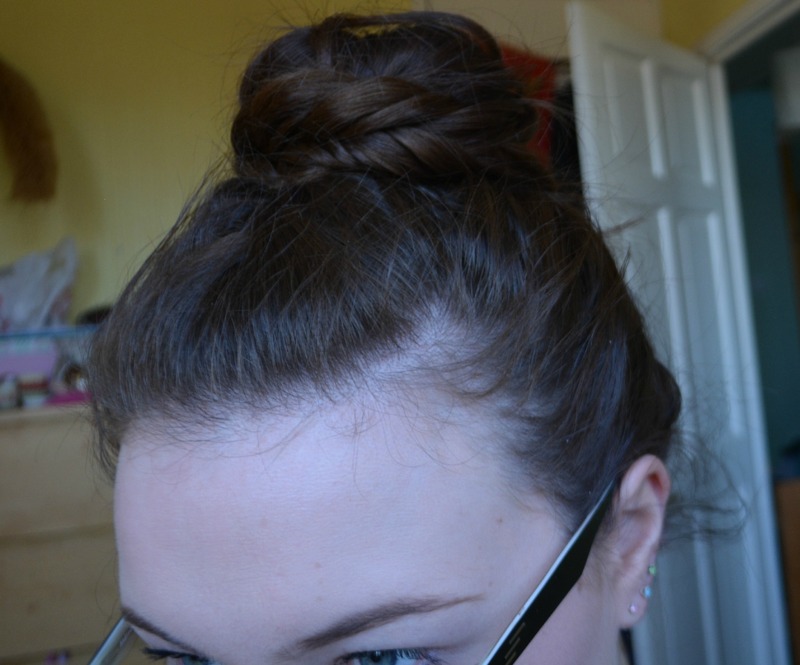 This by itself is also a really cute hairstyle if your hair is on top form so feel free to stop here. 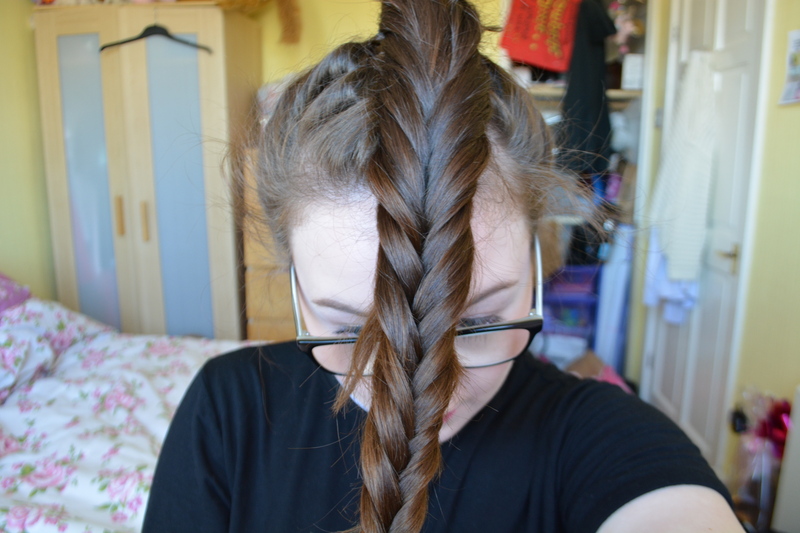 However I carried on and pulled my pony over my head and in front of my face so I could see it (just for ease really) and did a fish tail braid, this you do by making it two sections and taking a piece from the outside of one section and crossing it over and adding it to the other, then doing the same to the other section. Repeat that until you have reached the end of your hair, or how far your hair will allow you to go and then secure it with a mini hair elastic. 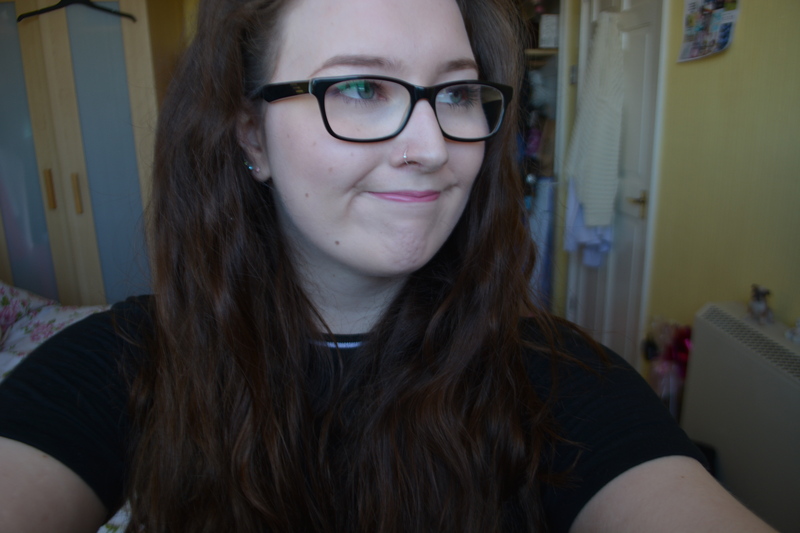 Then all you need to do is wrap it round the bobble you used to create your pony and pin it in place so that you are left with something looking a little like this….after ‘hairspraying’ the crap out of any baby hairs that is! 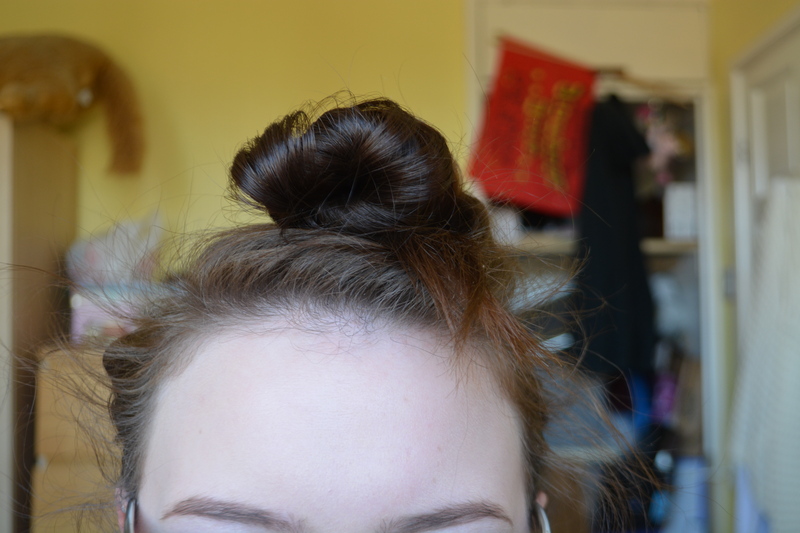 I hope that you found this post helpful and it gave you some ideas of how to switch up a regular top knot! Next week I have a very exciting post planned for Monday so keep an eye out for that one! Goodbye for now little buns!